Empowering others to live life fully. Gene Chizik has been a part of two National Championships as a college football coach. ...as a father, motivational speaker, ESPN / SEC Network analyst and entrepreneur. Would you follow you? Coach Chizik has a powerful and challenging message about what it really means to be a leader. He believes Leadership is an action, not a position. Coach Chizik is a highly sought speaker by businesses and trade organizations, sharing his expertise on leadership, motivation and performance optimization. 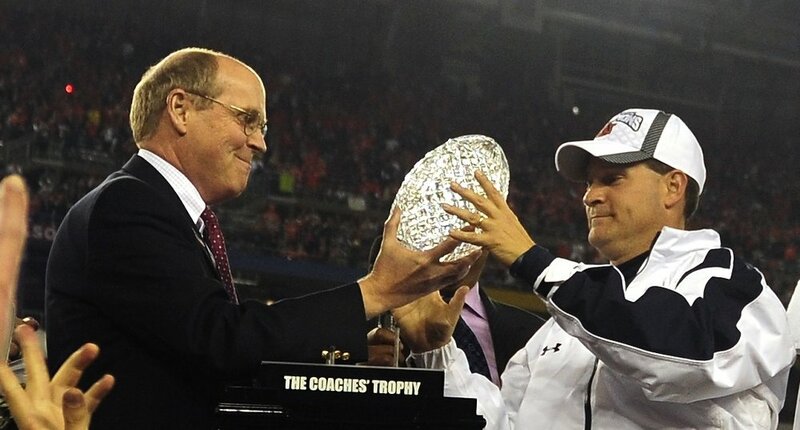 Chizik regularly shares his methods and motivational tactics with coaches at every level. Balancing career with family and faith, Coach Chizik understands the lifestyle that many coaches experience. He has shown that he is a leader both on and off the field. Coach Chizik's faith permeates every aspect of his life. From how he leads his family to how he coached teams and recruited players, his faith is a motivating factor and foundation. Gene Chizik was one of the most successful recruiters in college football. Coach Chizik has a compelling message about the similarities between recruiting five-star football players and attracting elite employees for your business. He delivers an inspiring message to sales organizations on how to be successful by executing a plan.